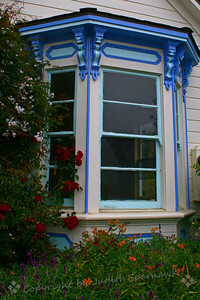 A few interesting architectural syles found in some of Northern California towns. 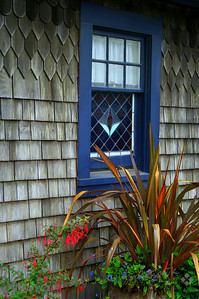 Window in Mendocino ~ A beautifully painted window in a home in Mendocino. This lovely town on the coast offered wonderful views, despite the foggy morning. 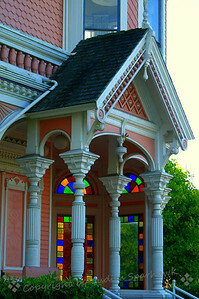 Ferndale Beauty ~ The small town of Ferndale in northern California has made a point of restoring their old Victorian homes and businesses, and they have done a great job of becoming a showcase town. This is an example of this restoration. 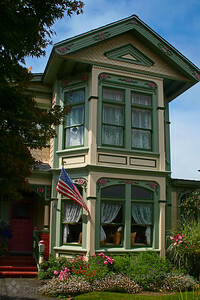 Home in Ferndale ~ The small town of Ferndale in northern California has made a point of restoring their old Victorian homes and businesses, and they have done a great job of becoming a showcase town. This is an example of this restoration. 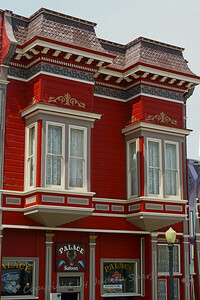 ~The small town of Ferndale in northern California has made a point of restoring their old Victorian homes and businesses, and they have done a great job of becoming a showcase town. This is an example of this restoration. 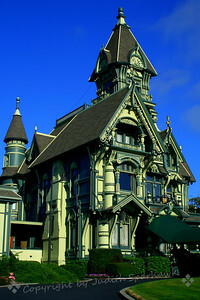 ~ There is an area in old Eureka, which has wonderful Victorian architecture, including this mansion. 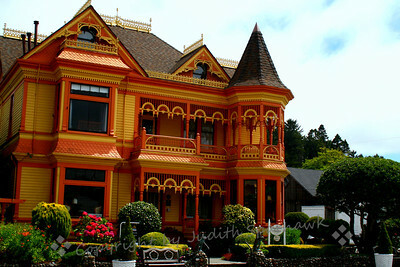 ~ This huge and elaborate mansion is at the top of the hill above the old section of Eureka, CA. It was built from railroad money many years ago. It is quite a sight to behold! 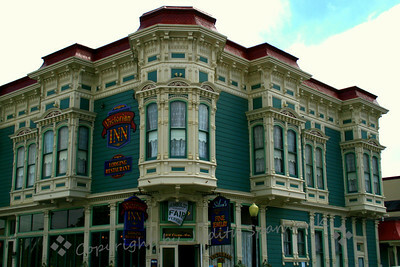 Victorian Inn, Ferndale ~The small town of Ferndale in northern California has made a point of restoring their old Victorian homes and businesses, and they have done a great job of becoming a showcase town. This is an example of this restoration. Ferndale Mansion ~ The small town of Ferndale in northern California has made a point of restoring their old Victorian homes and businesses, and they have done a great job of becoming a showcase town. This is an example of this restoration. 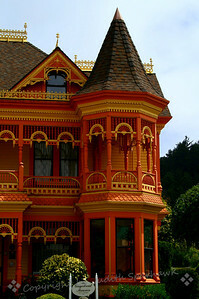 ~ The town of Mendocino has beautiful old Victorian homes and other buildings. Last summer while visiting there, I captured a few of them. I finally processed some of them. 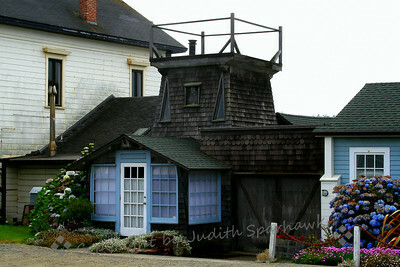 ~ This is one of the old houses in Mendocino. It has the built-in water tower, characteristic of that town. Towers such as this, separate from houses or built in, are (or were) the homes' water source.